Prominent & Leading Wholesale Supplier from Chandigarh, we offer prebiotic syrup, paracetamol suspension, multivitamin & multiminerals drops, aceclofenac paracetamol syrup., cefixime 50 mg dry syrup and phenylephrine paracetamol syrup. Zumalac Dry Syrup is procured from one of the best manufacturers in the industry to ensure its quality & longer shelf Life. We are the leading supplier of Paracetamol Suspension based at Chandigarh. Wondrous kid drops Multivitamin & Multiminerals Drops are processed from one of the key manufacturers in the industry.wondrous kid drops quality is one the best in the industry.our unit are GMP & ISO certified. Wondrous Comes in 15 ml & 15 ml Packing with dropper. Mineral Supplement Multivitamin Drops Vitamin Supplements. We are the prominent wholesaler, trader and supplier of optimum quality Dolbloc-P Aceclofenac Paracetamol Syrup. Our offered Dolbloc syrups are commended in the market for its quick effectiveness. These Dolbloc syrups are well processed with optimum quality chemical compounds in accordance with set medical norms. After being processed, our vendor’s quality controllers rigorously check the entire range of Dolbloc syrups on various parameters of quality . 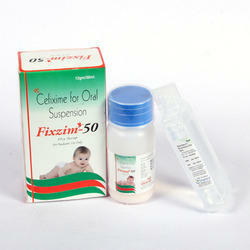 We are engaged in offering, Supplying Cefixime 50 mg Dry Syrup to clients. 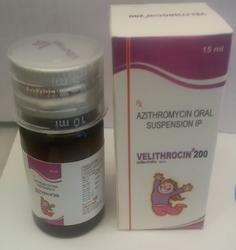 Velthrocin Azithromycin 200mg Syrup comes in a 15ml packing from our GMP certified unit. Our brand is well known for its good taste. 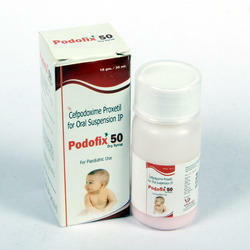 With our vast domain expertise, we are offering high-quality Podofix Cefpodoxime 50 Dry Syrup. Our vendor uses only high-grade ingredients, and other related chemical compounds to formulated these Podofix syrups so as to maintain set medical norms. The quality of these Podofix syrups is assured by checking completely against several parameters. Along with that, the offered Podofix syrups are broadly recommended in hospitals, clinics, nursing homes and other medical sectors. Amoxicillin is a penicillin antibiotic that fights bacteria. Amoxicillin is used to treat many different types of infection caused by bacteria, such as tonsillitis, bronchitis, pneumonia, gonorrhoea, and infections of the ear, nose, throat, skin, or urinary tract.